December 2016-August 2017: Large numbers of fake and highly suspicious reviews submitted for TeleTrade. I've been their client since July and I'm not satisfied . I share my personal experiences. When I started working with them, I realized that my biggest problem in Forex are not news, trends, price movement, but their spread . I quickly realized that this broker will close my account in SL very quickly but when the price reaches the TP it will not close it with profits but will let it come to the next SL. . Very large and unpleasant spread . I completed my education on Forex trading with their representative in Belgrade, Serbia At the end of our studies, we are presented with a "master invest" program that offers "experienced traders trading for us". In order to enter the "master invest" program, it is necessary to have 2,000 "money units" ( EUR or USD ) in the account and then you can choose the "experienced traider" who will work for us. When I entered this program I had the feeling that I was in the "black hole" ?! Soon I discovered that a large number of "master traders" on their list uses very risky strategies, many of them do not set up SL and the what is worst great number of them appear at the top of the list and after a couple of weeks make a loss and completely disappear from their list . I came quickly in a situation where I do not know whether to get out of the program or to try to recover the invested funds ? Now I know that it was better for me to get out . When problems already started I found out that the only condition for a "master trader" is that he has 2,000 "money units" in his account and that literally anyone who fulfills it can become a "master trader" ? !! I was shocked by the knowledge that such a serious broker (what they say they are) puts the resources of its clients at disposal to anyone who registers in the "master trader" program ?! And how their profit is calculated is just another story. It is also true that there is some "investor protection" mechanism, but it feels like it can only work if the trader has great many open positions and if I have a high commission . And the question is how many of them are currently on their list ?! As I wrote, I present my personal experiences and I would love to have someone who has a different experience with a this broker. At present, there is a very large economic crisis in my country of Serbia Many people are looking for a job that is not related to our country so there are many of them (including myself) who are studying and preparing for the Forex trading. I would just warn you to ask first questions and do not go into the investment until everything is clear to you.. Inquire what is "spread" and "ask and bid" prices and how it affects your work and be very careful with the "master invest" program otherwise you will end up like me . Traded with them since Dec2016. However, when trying to withdraw funds using bank transfer since 17Feb2017, the withdrawal request page kept asking for bank details to be filled with Latin characters when the site is in English. Informed them of the issue with screenshots and multiple emails reply from them telling me to remove any punctuations, till now ain't solved. Tried using another option of transfer via Skrill, no news from them for 2 weeks. It's either they are trying to steal money or technically they are c***. Traders beware! I have 5 years of trading with teletrade.eu and i never had any problems with the trading platform or withdrawal. I really had a very good experience on 15 Jan 2015 when i was able to close a big profit on USD/CHF despite the historical rally on CHF. Many other brokers closed trading on CHF pairs on that day. Maybe there is a difference between teletrade-dj.com and teletrade.eu? Anyway, i gave him 4 stars just because the spreads are a liitle bit higher then average. Very shady operation, they quote their T&Cs and ignore emails and withdrawal requests once you make a profit. Teletrade blocked my account and currently are not processing my withdrawal requests nor are willing to reply to my emails at this point. I have close to USD 30000 in my account with Teletrade. I have made about 100% in 3.5 months of trading. So far I have submitted two witdrawal requests one for $2500 in November and one for $1000 in December. Those requests just show as submitted, never processed nor acknowledged. My account was first suspended at the end of December. Now they are asking me to appear in person in their office to 'legitimize myself' however I can't appear in person as they have no offices in Canada. If they had an office here I'll come right away, they also informed me that they will review my profits and possibly cancel them as they are in violation of their terms(again most of the profits were made in October and I don't accept cancelling profits that far back, regulators actually forbid cancelling trades after such a long period of time has passed, generally 24 - 48 hours is the accepted period to cancel any faulty trades.). Very dodgy broker...SCAM... not replying to my emails, and never once have they assigned any specific person to my case who I can reach, they never sign their emails with a name but a generic signature which makes this whole company look very shady. The person I spoke to in their office informed me that he is just sales and I should contact the Cyprus office for more information. inefficiencies as stated in par. 22.3 of the TeleTrade Client Agreement. money that have been deposited into your trading accounts.  Furnish us with your bank account detail for us to be able to issue the refunds. escalate the case of possible identity misappropriation and report it to competent authorities. applicable laws and regulations in relation to any matter regarding your Trading Account(s) and activity. I made money on the account and that seems to be the only reason for them to block my funds. I place the same trades on many brokers and Teletrade is the only one accusing me of illegal trading. They are not detailing what trades are invalid, and they probably can't as they are lying, instead they want to steal my balance without further explanations. I will request FPA's intervention in this case please. Jan 11, 2017 - 1 Star This story started on Dec 28, 2016 when Teletrade decided to disable my account saying they will investigate my account's activity looking for possible violation of the trading terms and conditions. I've been requesting updates about the situation without luck, now they finally answered. It looks like they didn't find anything wrong with the account and they are asking me to travel all over the world to a Teletrade office (13 hours flight to the closest one plus 4 hours on the road) to "perform an additional identity verification to ensure the safety of your trading". That's nonsense! This is clearly an attempt to block my fund illegally and I won't allow that. Verification? Ask me for documents, for a phone call, skype call, ask me to notarize the copy of my documents, ask me to send original utility bills.... they can do many things to validate my account. They can't however force me to visit an office, this is 2017 and everyone knows how an online broker works these days. I will provide frequent updates about this case. Maybe I'm misunderstanding the situation and they will release my funds soon, if that's the case I will let everyone know too. So far this seems to be related to have made money on the account. Hello! Has somebody ever seen the original CySec license of Teletrade D.J.Ltd? I have not. I let the Teletrade managers show me this license in Russian office many times, but I received the link with information about the lisence only! Nothing else! I am a Russian visitor of free FOREX trainings, caused by Teletrade Group. In 2015 I put about 3000 USD into my account + I got 500 USD as bonus. In demo-accaunt I made very good results. But if I started to trade with real money, I lost all it on EURUSD pair in 5 minutes, before I could see and understand, what direction the market price goes. I tried to investigate the similar cases with Teletrade in national forums and I found a lot of victims, having lost from 2000 up to 15000 USD in similar strange situations. I contacted other victims, and I know, that Teletrade D.J. doesn't have any real broker licenses and ALL INVESTED MONEY NEVER LEFT TELETRADE ACCAUNT. All Russian investor's money placed in Baltic and Armenian banks never took part in any deals with currency! The people lost money in play of bad casino, called Teletrade D.J., whose jurisdiction is on St.Vincent and the Grenadines (Caribean islands). The suffered investors cannot receive money in legal way! 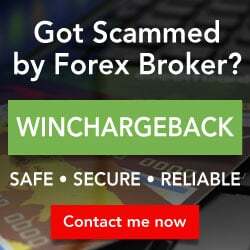 Stay away from this scam FOREX imitator!